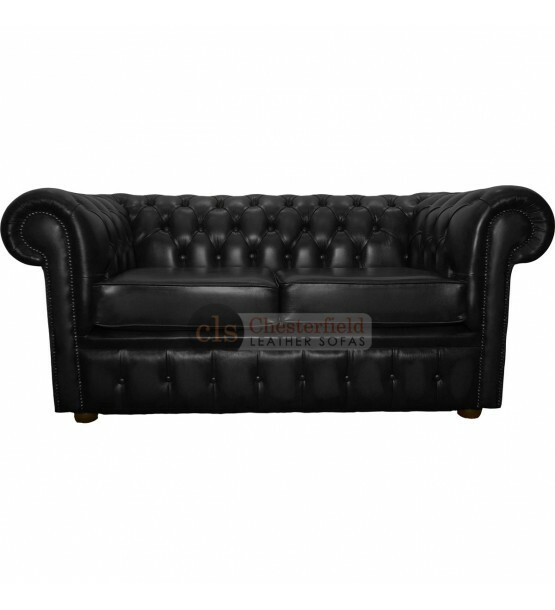 Provide your home with an astonishing Black Leather Chesterfield two Seater sofa, which is made from 100% genuine leather and is hand crafted in the UK. This two seater sofa with a low back, curved arms and deep seat cushions offer a warm and welcoming comfort. The Chesterfield sofas are finished off with metal stud beading and Mahogany feet.